1 – To begin playing press Start. 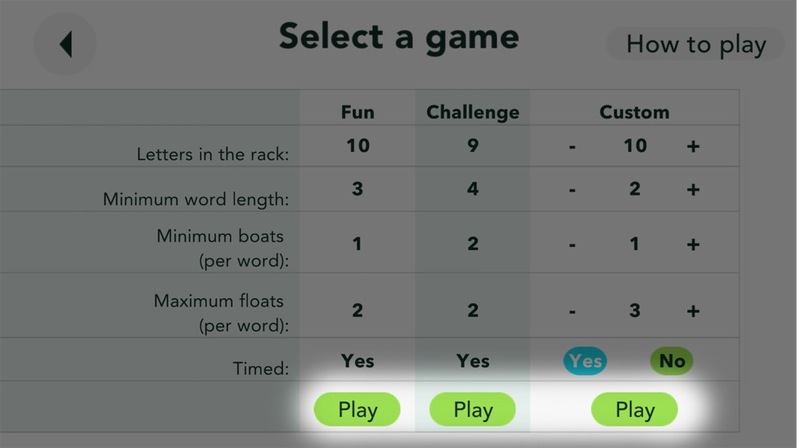 2 – Choose from the game options Fun, Challenge or Custom by pressing the Play button below. 3 – Once a game mode has been selected the game will start. 4 – Create your first word by dragging letters from your letter rack on to the darkened row in the centre of the screen. 5 – When ready press the Submit button. If the word is correct (in the dictionary, correctly spelt in English or American English and not a proper noun) then the word is accepted and a new row will appear on which you will create your next word. 6 – From now on all words must have one or more letters in common with the word above. This is the commonality requirement (these are called boats). Look for letters with a yellow highlight in your letter rack; these letters also appear in your last word. 7 – Floats are the yellow tiles at the end of your letter rack. Use floats to float a letter down to the word you are composing. The points associated with that letter are not floated down too, but the floated letter will be accepted as helping to meet the commonality requirement. 8 – If you find yourself stuck, or forget the rules of your game, press the Rules button in the upper left corner of the game screen. 9 – Use the Shuffle letters button to change the order of letters in your rack. 10 – At any time you can change all the letters in your rack but you will lose 30 points. To do this press the New letter set button. 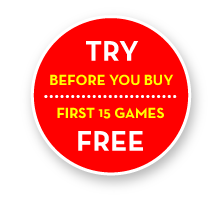 11 – There are 16 rows in the standard game but you can finish a game early by pressing Finish game. 12 – On completing row 16, you will have finished the game. You will be taken to the Game results screen and shown your Crickle. 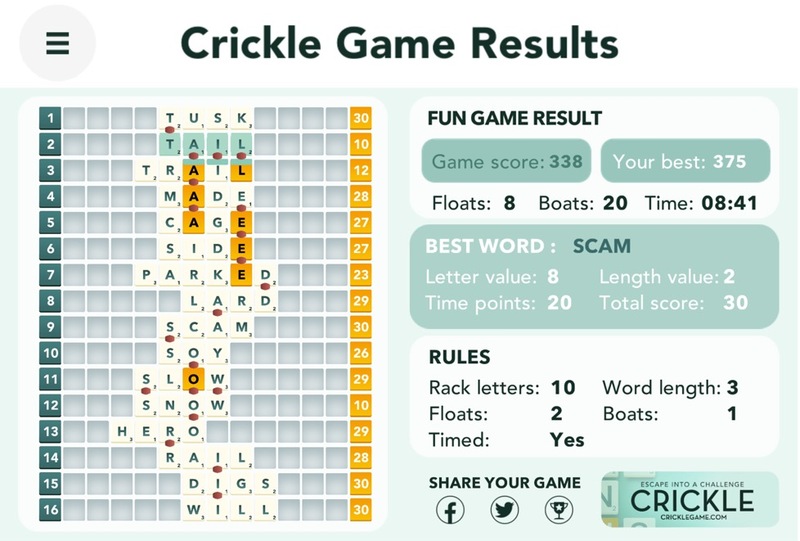 You can then share this over Facebook and Twitter to show your friends your best Crickles.